Red shaded area shows Muskeget Channel just off Edgartown's coastline. Many homeowners install renewable energy technologies like solar panels in an effort to become less dependent on conventional energy sources. But could an entire island eventually achieve that goal? Edgartown on Martha’s Vineyard is taking the first steps to harness the strong tides that flow just off its eastern shore. It’s new technology, and there are many financial and regulatory hurdles still in the way. But the hope is that one day the ocean will supply a significant portion of the Vineyard’s energy needs. 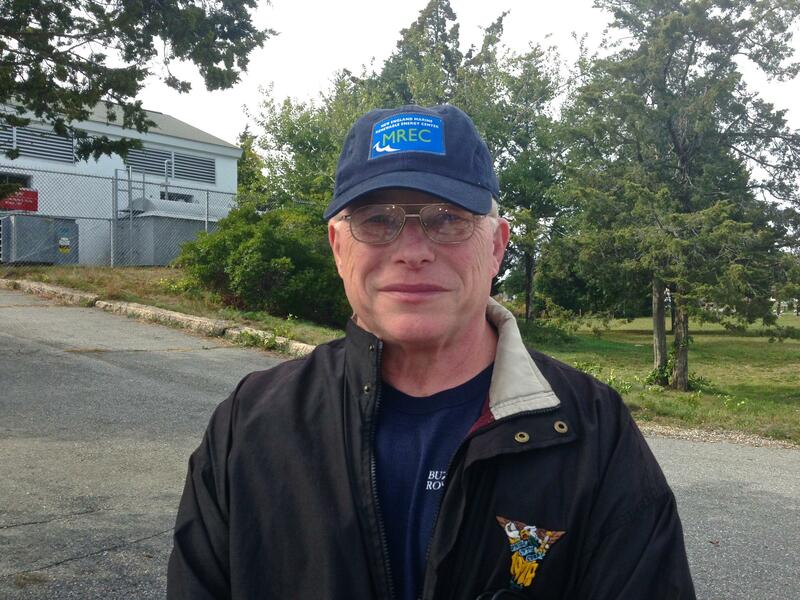 As an Edgartown selectman, Arthur Smadbeck has been involved in renewable energy projects in town for the past 20 years. Most of them were fairly conventional efforts, like the two solar arrays that now supply the town’s municipal power needs. 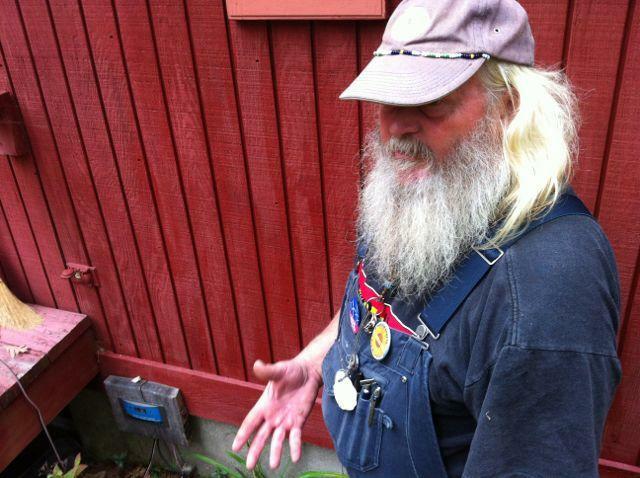 But back in the mid-2000’s, the town’s Energy Coordinator presented Smadbeck with a different kind of project, something much more innovative and intriguing. “He said, ‘You know, there is a possibility to get a permit out in Muskeget Channel off of Edgartown’,” Smadbeck remembers. 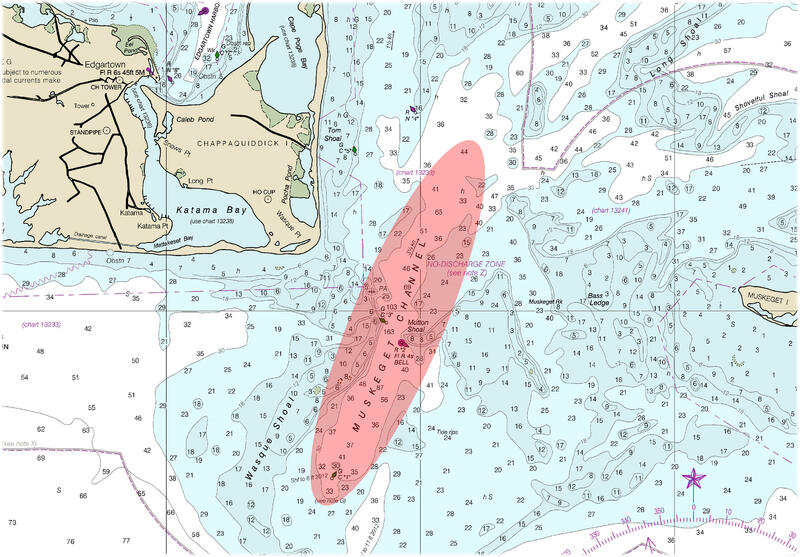 That permit was being offered by the Federal Energy Regulatory Commission to develop the channel - just a few miles off Edgartown’s coast - for tidal energy. The area is about 100 feet deep, and has a consistent current of about 4 knots. The permit raised the possibility that someday Martha’s Vineyard could become much less reliant on the mainland when it comes to its energy. Could it even one day become energy independent, getting all its power needs from the tides, the sun and the wind? Maybe not. But the tidal project certainly could get it closer to such a goal. So Smadbeck took on the challenge, and in 2008, Edgartown received a preliminary permit, giving them exclusive rights to develop a tidal energy project in the Channel. The town also partnered with a non-profit called the Marine Renewable Energy Collaborative, that helps companies and municipalities commercialize green energy technology. MREC Executive Director John Miller pointed out two big advantages of tidal power. “One, it’s incredibly predictable. You know 100 years ahead of time when the tide is gonna be running and what the velocity’s gonna be. The other thing is that most of them are being deployed on the bottom, which puts them out of sight, in less conflict with other users,” Miller said. Most of the big tidal power developers are in Europe, especially Scotland. But even there, only one tidal turbine - in Northern Ireland - currently produces power for the grid. Even so, tidal turbines have already progressed beyond the early models. “The first generation was essentially taking a wind turbine, giving it steroids, and putting it in the ocean,” Miller said. Some of the newer tidal turbines resemble jet engines, with a housing around the blades. Others are helical, and look like old, manual lawn mower blades. Surprisingly, there are no tidal-power testing sites in U-S waters. But it’s looking more and more likely that the first one will be in the Muskeget Channel. Miller said the town has a deal with the Collaborative that includes more than $2-million in grants for surveys and studies for the Channel project. Edgartown and the Collaborative still need about $300,000 to do additional studies at the Muskeget site in order to satisfy federal requirements for granting an initial pilot project license. But when those studies are complete, Edgartown is hoping the license will come through. The plan is to develop the Muskeget tidal project in two phases, the first being a small-scale pilot project. “The next stage would be trying to put the cable in from shore to the site. 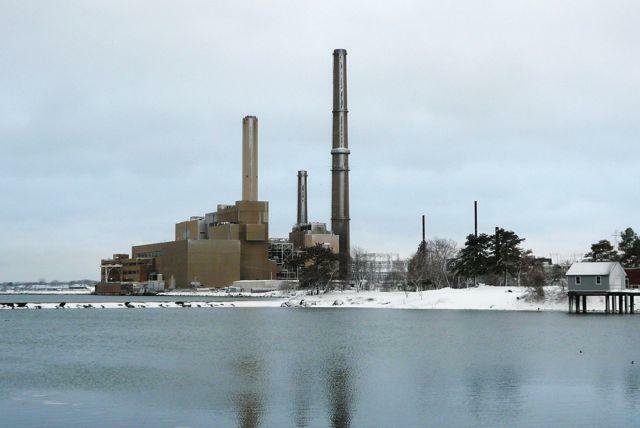 That would cost 5 or 6 million dollars, but that would get the site to a point where a developer could go in and develop it for under 20 cents a kilowatt, which is commercially viable,” said Miller. Edgartown Selectman Art Smadbeck said even getting to the initial pilot stage has been tough. “Where we’re at right now is some of the State funding that was in the pipeline has dried up. If we could get the funding to actually begin the pilot process, the pilot plant would produce approximately five megawatts,” said Smadbeck. When completed, the full-scale project would produce 20 megawatts, enough to supply 20 percent of Edgartown’s power needs, or 5 percent of the island’s power needs as a whole. But Smadbeck also says it’s crucial for the State legislature to get involved. “At this point in time, we still don’t have the legislation in place to utilize the electricity. So there’s a lotta work to be done if this is ever going to come to fruition,” said Smadbeck. Tidal power is feeling the same growing pains as other forms of renewable energy: limited research funding, minimal consumer awareness, and the challenge of becoming economically competitive. Still, Edgartown is hoping to play a major role in bringing tidal power into the renewable energy mainstream. Listen to other stories in this series. 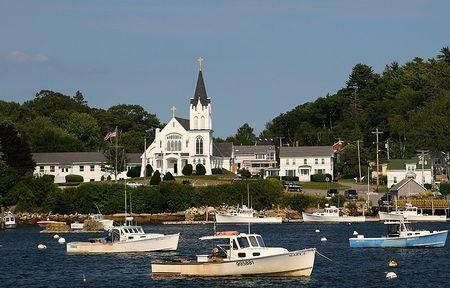 Boothbay, Maine has a message for end-of-the-line towns around New England: you could make the whole grid stronger. Here’s a question for you: how much electricity did you use last month? That’s not how much did you pay on your electric bill – but how much electric power did you use? If you're serious about using less, a good place to start is to understand how much you already consume. In Falmouth I sat at the kitchen table with Ben and Kellie Porter and their two young children, as Ben opened his laptop to examine the family electric bill. Both of our region’s primary electric utilities have announced double-digit rate increases in recent weeks, leaving some residential customers wondering how they’ll pay an extra thirty dollars a month or more. But beyond the rate hikes, New England is in the midst of an energy crisis. It’s facing serious questions about the future of its energy supply. Rupa Shenoy reports that if the region can't get a grip on its electricity usage and supply, residents and businesses are facing a future that may include “rolling blackouts” on days when usage is the highest.